Please note that we will post relevant information on our school website by 8.00am at the very latest. We will also send out a text message to all parents advising them of the closure. All efforts will be made to keep the school open wherever possible, however the underlying priority is the safety and welfare of our pupils, parents and staff. The decision to close the school will only be made by the headteacher in consultation with other groups e.g. the London Borough of Ealing Health and Safety representatives. PLEASE ENSURE THAT WE HAVE ALL CURRENT MOBILE TELEPHONE NUMBERS AND THAT YOUR PHONE IS SWITCHED ON. We will inform parents by text message. Children should be collected as soon as possible to ensure pupils and staff get home safely. Please make sure that children are wrapped up warmly during this cold spell with warm coats, hats, scarves and gloves. Pupils may wear shoes or boots that you consider most suitable for the weather conditions. They should be weatherproof and have good grip in icy conditions. The classteachers will open their class doors from 8:35am onwards and allow you to drop your children off early to avoid them getting cold or wet outside. 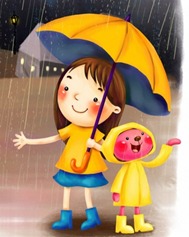 Reception/Nursery classes also have a sheltered area where parents are able to wait if there is a light drizzle of rain. Please take the children around to the KS2 playground and wait by the Year 3/4 doors and a member of staff will let the pupils in to wait in the hall from 8:35am onwards. Parents do not need to wait with their children.